'Charlie Hebdo' Cartoonist Says He Will No Longer Draw Prophet Muhammad : The Two-Way "He no longer interests me," Luz said in an interview. Militants attacked the magazine Jan. 7, killing editorial staff and others, in apparent retaliation for its depiction of their prophet. French caricaturist Luz, seen on Jan. 15, says drawing Islam's Prophet Muhammad no longer interests him. "He no longer interests me," Luz, as Renald Luzier is professionally known, told Les Inrockuptibles, a French cultural magazine, in an interview published Wednesday. "I've got tired of [drawing him], just like I got tired of drawing [former French President Nicolas] Sarkozy. I'm not going to spend my life drawing them," he said. Charlie Hebdo has a long history of satirizing religion, politics and business; critics accuse it of being deliberately provocative. But it was the publication's depiction of Prophet Muhammad that had drawn intense scrutiny — as well as death threats from militant groups. Many Muslims consider any depiction of their prophet — even positive ones — as blasphemous. Islamist militants attacked the satirical magazine on Jan. 7, killing 12 people, including some of Charlie Hebdo's top cartoonists and editors, in apparent response to the cartoons. 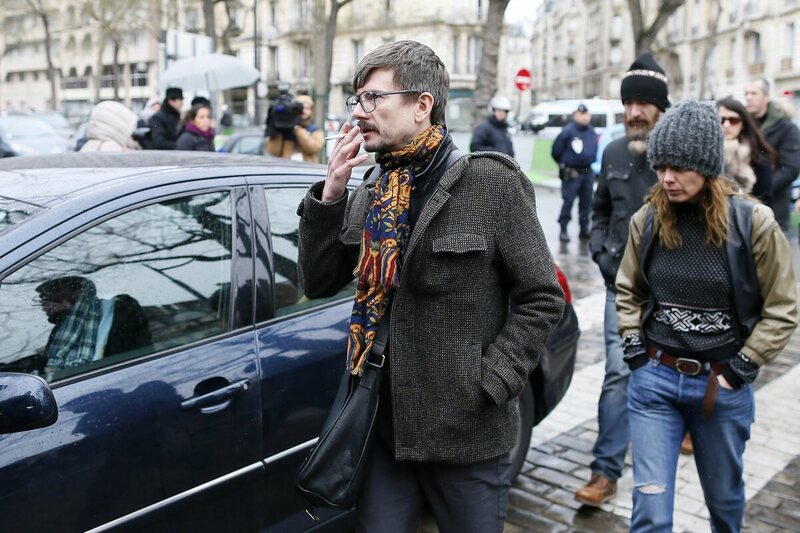 Charlie Hebdo's surviving journalists went to work almost immediately. A week later, a new issue was back on newsstands with Luz's now-famous cover: an image apparently of Prophet Muhammad shedding a tear and holding a sign that reads: "Je Suis Charlie" ["I Am Charlie"]. The cover reads "Tout Est Pardonné" ["All Is Forgiven"]. In a news conference at the time, Gerard Briard, the magazine's editor-in-chief, said that when Luz showed them the cover art, the place erupted in laughs and then everyone "jumped up for joy." Luz, in the interview published Wednesday related to his new book of cartoons, Catharsis, added: "The terrorists did not win. They will have won if the whole of France continues to be scared."